Thank you! We are appreciative of such an amazing sell-out response to our Taste of the South event, which benefits the Southern Foodways Alliance and features the Fellowship of Southern Farmers, Artisans and Chefs. To have your name added to the wait list, email reservations@BlackberryFarm.com with a request. From January 8—10, 2015, Blackberry Farm will stage its eleventh annual Taste of the South weekend in Walland, Tennessee. The gathering honors the farmers, artisans, chefs, and scholars who shape the foodways of the American South while raising funds for the Southern Foodways Alliance. The event plays host to the annual meeting of the Fellowship of Southern Farmers, Artisans, and Chefs. Since 2006, the Fellowship has fostered camaraderie and mentorship among the individuals who grow, nurture, and interpret the bounty of the Southern harvest. Each January, the fellows come together at Blackberry Farm to break bread and share knowledge while reinforcing the vital link between field and table. The fellows have chosen Ronni Lundy, culinary writer, SFA Founder, and 2009 Craig Claiborne Lifetime Achievement Award Honoree as the 2014 scholar in residence. 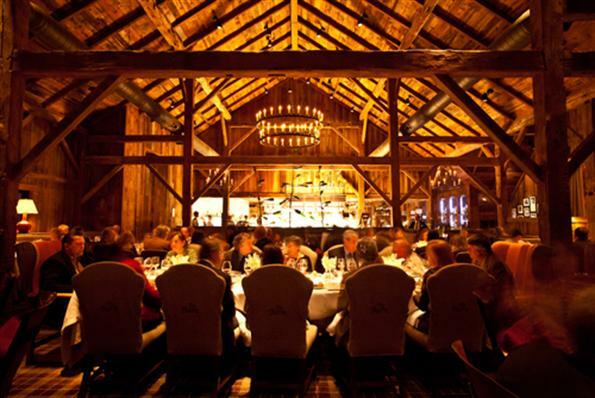 Chef Joseph Lenn of the Barn at Blackberry Farm will host guest chefs for the weekend who will prepare a Saturday-night gala dinner in honor of the assembled Fellowship. The weekend culminates in an auction with silent and live packages donated by friends of the Southern Foodways Alliance. For information and reservations, contact the Blackberry Farm Reservations Team at (800) 273-6004. Reservations open July 29. Sean Brock, who joined the Fellowship of Southern Farmers, Artisans, and Chefs in 2014, was unable to cook last year, owing to an injury. So he’s back. Brock, the man behind the restaurants McCrady’s and Husk in Charleston as well as Husk in Nashville, was the winner of the 2010 James Beard Award for Best Chef Southeast. In the fall of 2013, Brock hosted season two of Anthony Bourdain’s “The Mind of a Chef” on PBS. In 2014, GQ named Husk Nashville one of the 12 Most Outstanding Restaurants of the year. His first book, Heritage, is out in 2014, too, from Artisan. A Savannah born chef, Brownlee cooked on the front lines in Vietnam before heading to Sweden and then Switzerland to cook for touring jazz groups all over Europe, and for Josephine Baker’s manager. He returned to Savannah to become a prepared foods vendor at Gullah, Cultural, and Seafood Festivals from Daufuskie south to Sapelo. Brownlee cooked at Elizabeth’s on 37th when that restaurant was in its heyday. After a career at the Long Cove Club on Hilton Head Island, Brownlee retired to work as a deviled crab vendor on the Georgia barrier islands. Recognized by Food and Wine magazine as Best New Chefs in 2013, Ticer and Hudman, both natives of Memphis, both of Italian heritage, are co-chefs and co-proprietors of the Memphis restaurants Andrew-Michael Italian Kitchen and Hog & Hominy. The latter was recognized as a Best New Restaurant of 2013 by GQ magazine. That same year, the duo published Collards & Carbonara: Southern Cooking, Italian Roots. Their most recent projects are Porcelliono’s, a butcher shop, and Double Bird, a wine and cocktail bar. Farmer’s Daughter is a farm-driven artisan food business based in Carrboro, North Carolina, where McGreger celebrates the flavors of the South and the soils of the Piedmont. A native of Vardaman, Mississippi, where her family still farms sweet potatoes, McGreger learned the art of preserving at the elbows of her mother and grandmother. Farmer’s Daughter promotes the value of sustainable, small-scale agriculture as well as traditional, handmade methods of preserving. Jasmine Hirsch, daughter of Hirsch Vineyards founder David Hirsch, is a socially accomplished woman with a crush on all places and peoples Southern. Unlike many of her friends and fellow Californians, she didn’t run off to U.C. Davis to study winemaking. Instead, she went to the University of Pennsylvania, where she majored in Asian Studies with a concentration in Japanese. Not long after she returned to Sonoma, she co-founded In Pursuit of Balance, a think-tank and event series that promotes dialogue around the meaning and relevance of balance in American wine production. Born in Corbin, Kentucky, Ronni Lundy has long chronicled the people of the hillbilly diaspora as a journalist and author. In 2009, the SFA honored Lundy with the Craig Claiborne Lifetime Achievement Award. Her books include Shuck Beans, Stack Cakes, and Honest Fried Chicken: The Heart and Soul of Southern Country Kitchens and Butter Beans to Blackberries: Recipes from a Southern Garden. Shuck Beans was recognized by Gourmet magazine as one of six essential books on Southern food. Her latest book is Sorghum’s Savor, which will be published in 2015.